Hanoi (VNA) – Permanent Deputy Prime Minister Truong Hoa Binh has requested the establishment of four inspection teams to examine the compensation for residents who were affected by the marine environment incident in the central provinces of Ha Tinh, Quang Binh, Quang Tri and Thua Thien-Hue last year. Binh, who is head of the steering committee in charge of overcoming the incident’s aftermath, made the request during a meeting of the committee in Hanoi on March 8. The Deputy PM also asked the four provinces to set up their own inspection teams to collect feedback from local people and administrations and promptly deal with their difficulties, and accelerate the payment for affected residents. Earlier, Prime Minister Nguyen Xuan Phuc decided to allocate an advance of 4.68 trillion VND (over 207 million USD) for these provinces. 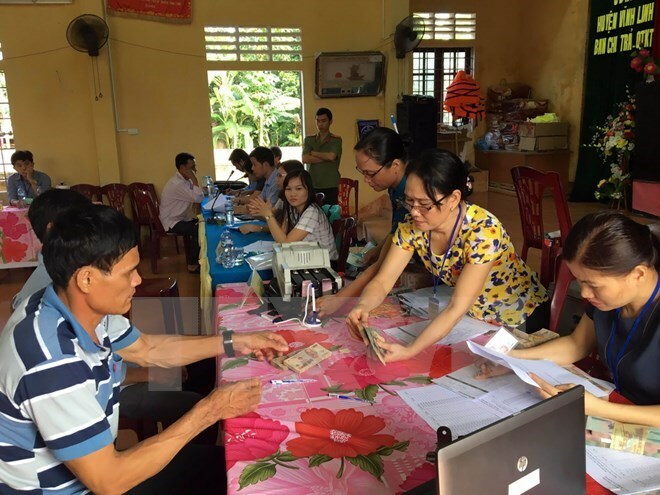 By March 6, the localities had disbursed almost 3.6 trillion VND, or 76.8 percent of the total, as damages for the targeted households. By December 31, 2016, concerned agencies provided 15,027 tonnes of rice free of charge and 59 billion VND (2.56 million USD) for fishermen as directed by the government.